For those who revel in the thrill of gambling, we live in a golden age. The internet has transformed our reality, augmenting it irrevocably and even spawning divergent, alternate realities that coexist with our primary state, follow many of the same rules, but exist in a manner so beyond limits that human endurance may prove the final frontier. The world of online gambling is merely one of these augmentations, but it is among the most fascinating. Developers create software to allow the playing of new games and old favorites alike—these games are then hosted by specialized virtual casinos. Much like in the physical, analog world, casinos function by offering gamers two privileges: security and convenience. A casino may state and uphold the rules of the games themselves, and where codes of conduct are necessary, they enforce them. Users’ financial details can be logged with online casinos to make the transfer of credit instantaneous, and to provide accountability in the event of fraud or technical failure. A degree of anonymity can be maintained, and with an international, 24-hour user base, users will invariably run out of money before they run out of other players, assuming that they don’t simply play against the house (a historic tradition that shows no signs of fading). Some states and principalities continue to outlaw gambling as a practice, and the use of online services can in some cases be a loophole. 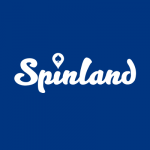 What does Spinland offer to Players in games and slots? One such example is Spinland Casino, a multi-platform, multi-lingual offering which boasts the ability to be accessed from any smartphone, tablet, or laptop, either via their website or through the mobile app. 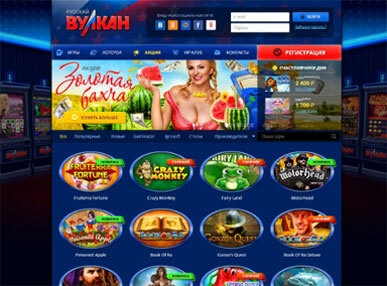 The site provides classic games such as blackjack, poker, and roulette in myriad variations, sourced primarily from well-known developers, including Microgaming, NetEnt, and Quickspin. However, they also offer several games from smaller and/or lesser-known companies and developers, sufficiently within the bounds of reputability to soothe the anxieties of any player. These titles may be unfamiliar to those outside the world of online gambling, boasting names like Starburst or Jack and the Beanstalk, which have more in common with flash games like Candy Crush than they do with the traditional physical paraphernalia of playing cards and poker chips. Spinland offers a welcome bonus, currently 200% up to £3000 plus 50 complimentary spins. The minimum deposit necessary to trigger the bonus is £20. Spinland has a minimum deposit of £/$/ € 20, a minimum withdrawal of £/$/ € 30 and a maximum withdrawal of £/$/ € 5000. Notably, this casino offers a round-the-clock customer service which has outstanding ratings from users, further helping to legitimize the practice of online gambling and provide increased security, both fiscal and psychological. However, this service is restricted to web chat and email, with no conventional telephone support, a reflection on both the evolution of technology and our uses of it within society and the international, geographically elusive nature of such companies. The competitive nature of such a high-stakes market may prove a challenge to Spinland going forward. The focus on security and convenience is ultimately in service of creating brand loyalty, and while the use of cartoon graphics may have won Spinland many users by suggesting accessibility and fun, that aesthetic has become so dominant as to be almost ubiquitous. As in other markets, once consumers feel that supply outstrips demand, companies vie to attract attention by offering something more “special”, whether that be through special offers, loyalty rewards, or simply a facelift. In the case of Spinland, new players are welcomed by the promise of free spins and/or slots, and the chance of winning special prizes and 'safaris’. Is there information for the players? Like so many websites and services, Spinland also boasts a formidable amount of legal text available to users, restricting the terms and conditions of its services, limiting the liability of the company, and protecting players from the contingency of other users attempting to abuse any of its systems through multiple signups or login, credit card fraud, misuse or illegitimate repeat use of bonuses, promo codes or other forms of foul play.